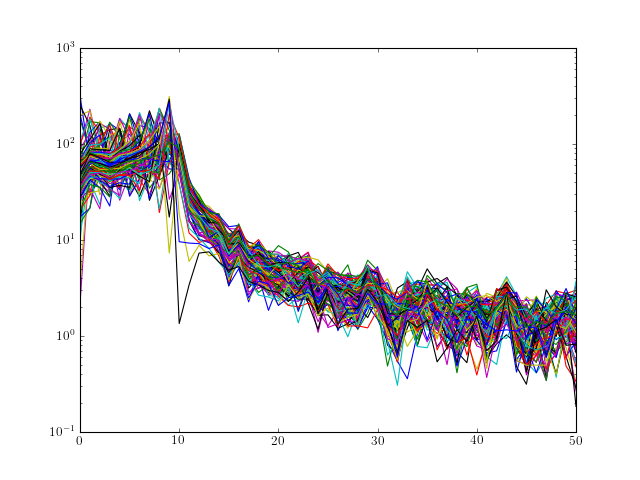 DaniellPeriodogram(data, P[, NFFT, detrend, ...]) Return Daniell’s periodogram. 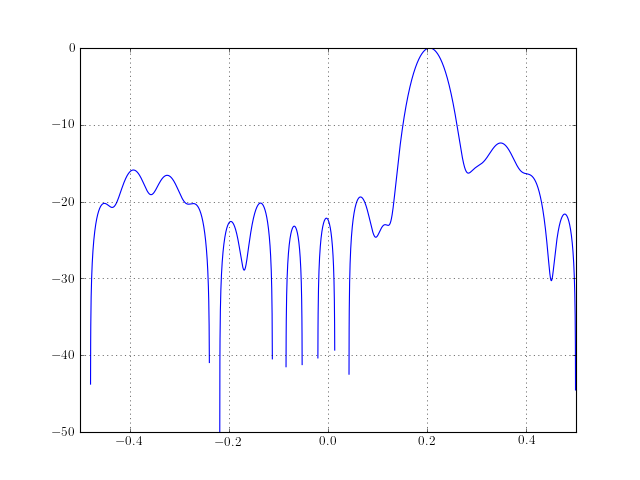 speriodogram(x[, NFFT, detrend, sampling, ...]) Simple periodogram, but matrices accepted. 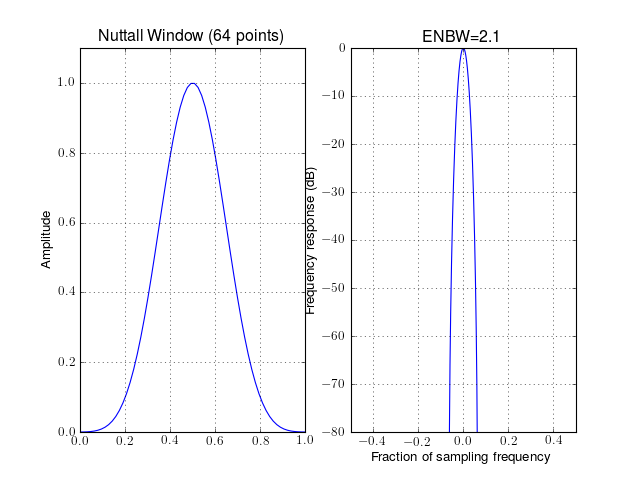 WelchPeriodogram(data[, NFFT, sampling]) Simple periodogram wrapper of numpy.psd function. P (int) – number of neighbours to average over. Simple periodogram, but matrices accepted. x – an array or matrix of data samples. 2-sided PSD if complex data, 1-sided if real. if a matrix is provided (using numpy.matrix), then a periodogram is computed for each row. The returned matrix has the same shape as the input matrix. The mean of the input data is also removed from the data before computing the psd. Simple periodogram wrapper of numpy.psd function. 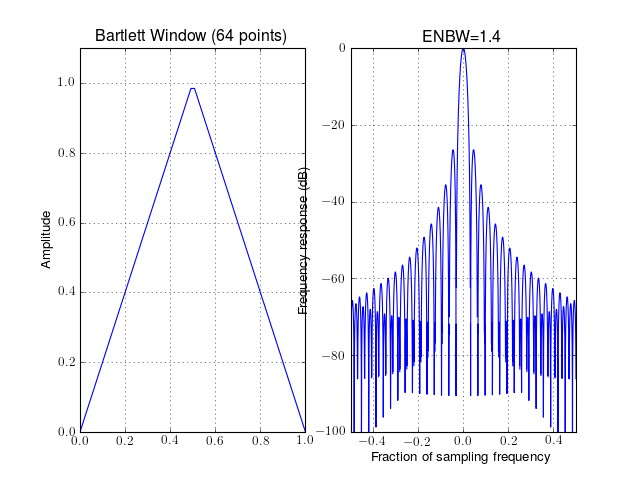 To reduce fast fluctuations of the spectrum one idea proposed by daniell is to average each value with points in its neighboorhood. It’s like a low filter. where P is the number of points to average. if N/P is not integer, the final values of the original PSD are not used. using DaniellPeriodogram(data, 0) should give the original PSD. CORRELOGRAMPSD(X[, Y, lag, window, norm, ...]) PSD estimate using correlogram method. 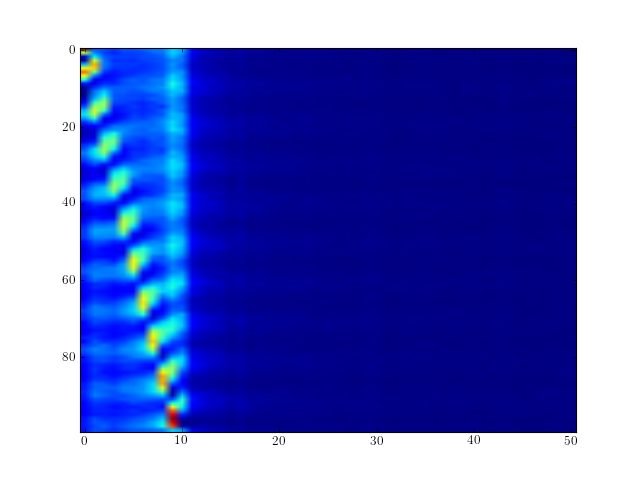 pcorrelogram(data[, sampling, lag, window, ...]) The Correlogram class provides an interface to CORRELOGRAMPSD(). PSD estimate using correlogram method. correlation_method (str) – either xcorr or CORRELATION . CORRELATION should be removed in the future. 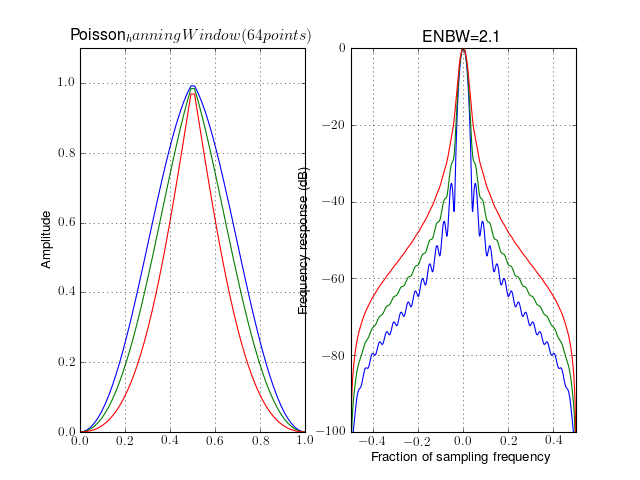 Array of real (cross) power spectral density estimate values. This is a two sided array with negative values following the positive ones whatever is the input data (real or complex). 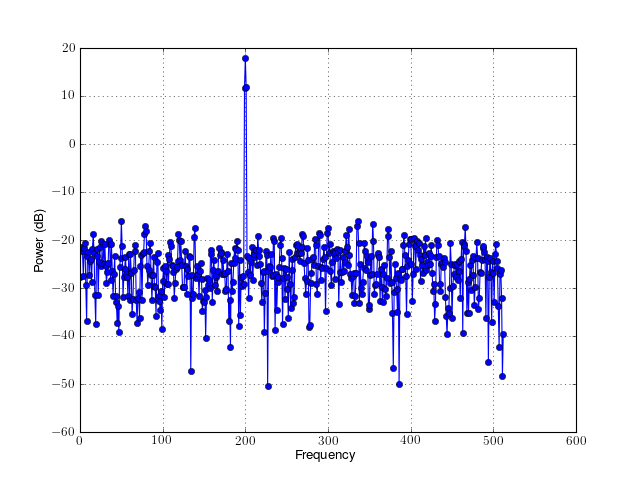 The lag index must be less than the number of data samples N . Ideally, it should be around L/10 [Marple] so as to avoid greater statistical variance associated with higher lags. which is computed if Y is not provide. In such case, so we compute the correlation only once. The Correlogram class provides an interface to CORRELOGRAMPSD(). It returns an object that inherits from FourierSpectrum and therefore ease the manipulation of PSDs. This module contains tapering windows utilities. window_cosine(N) Cosine tapering window also known as sine window. window_lanczos(N) Lanczos window also known as sinc window. This class provides utilities to manipulate tapering windows. 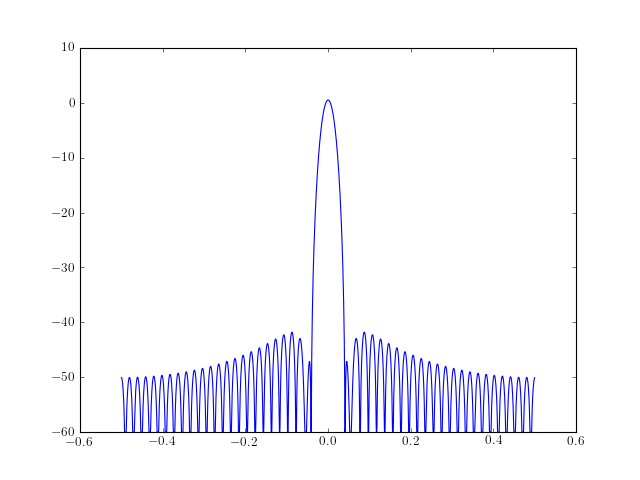 Plotting functions allows to visualise the time and frequency response. It is also possible to retrieve relevant quantities such as the equivalent noise band width. 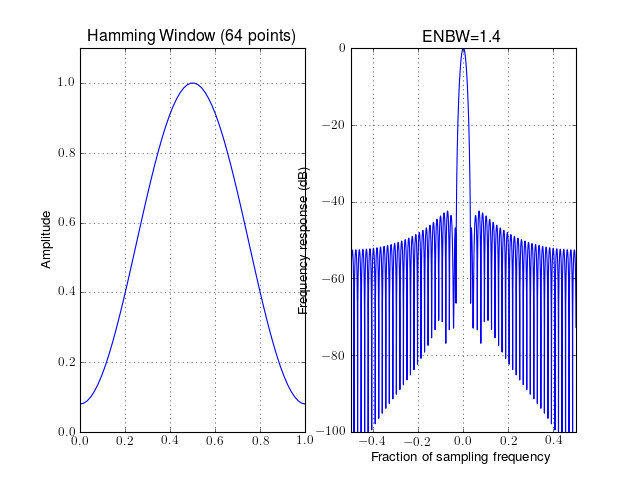 This object contains plotting methods so that you can see the time or frequency response. kargs – any of create_window() valid optional arguments. 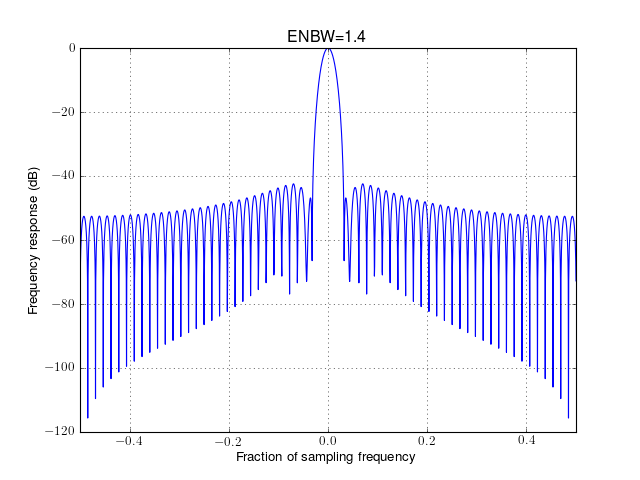 enbw: getter to the Equivalent noise band width. norm – True by default. 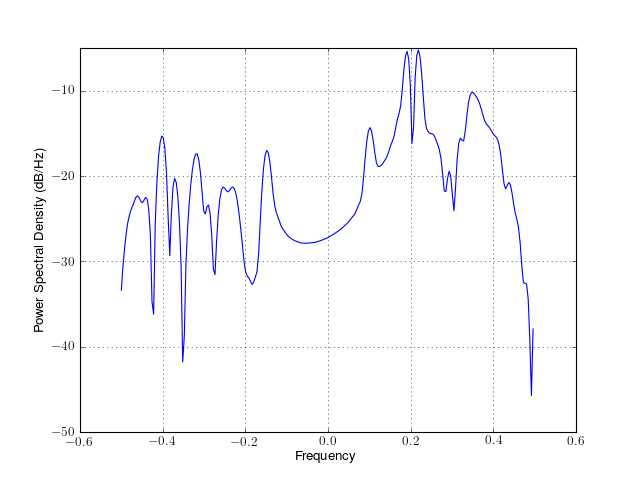 normalised the frequency data. 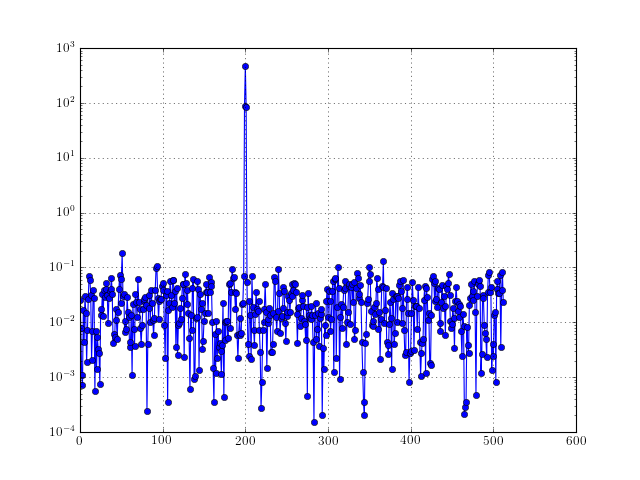 NFFT (int) – total length of the final data sets( 2048 by default. 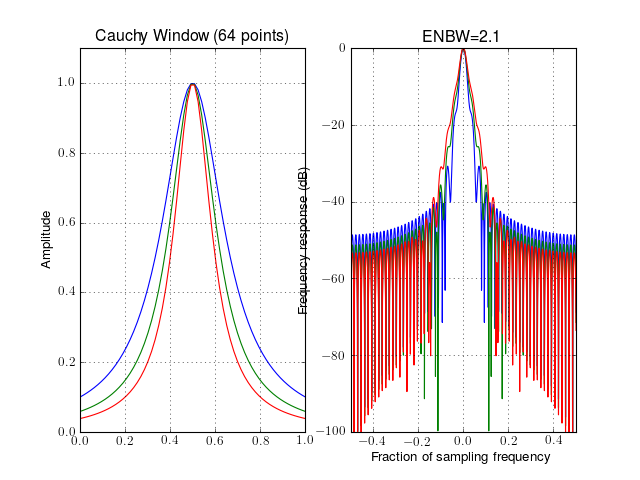 if less than data length, then NFFT is set to the data length*2). The response is stored in response. 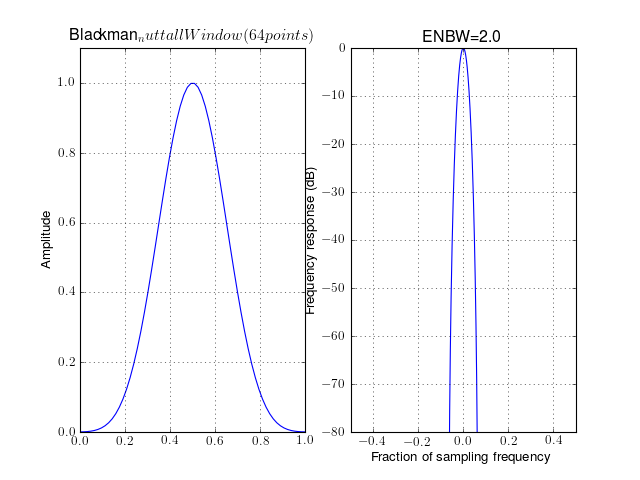 norm (bool) – if True, normalise the frequency response. Plotting method to plot both time and frequency domain results. 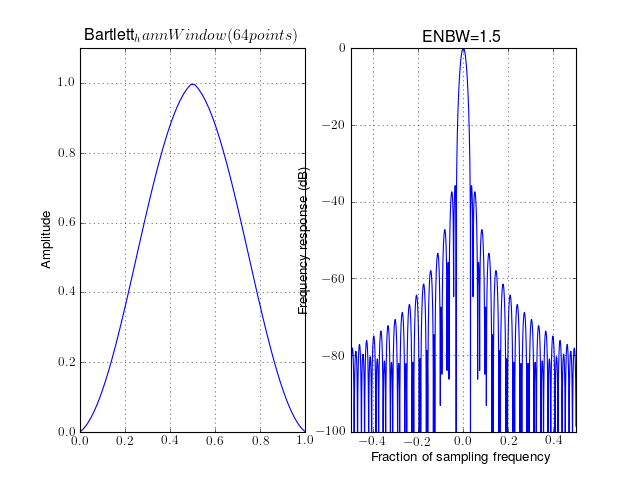 See plot_frequencies() for the optional arguments. name (str) – window name (default is rectangular). Valid names are stored in window_names(). r: argument of the window_tukey() function (default is 0.5). 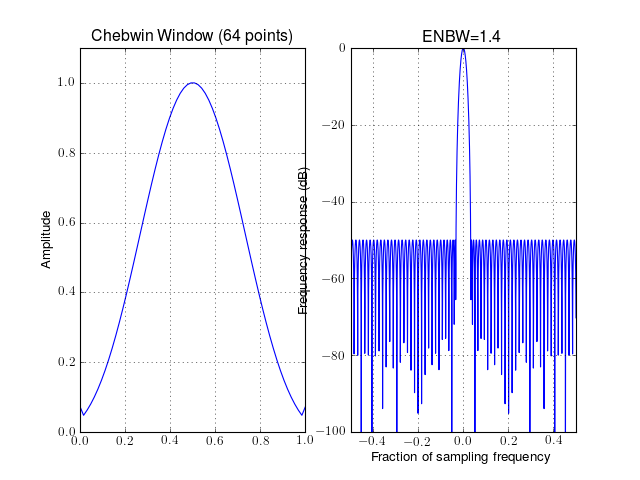 The following table contains the ENBW values for some of the implemented windows in this module (with N=16384). They have been double checked against litterature (Source: [Harris], [Marple]). If not present, it means that it has not been checked. When , this is the unqualified Blackman window with and . 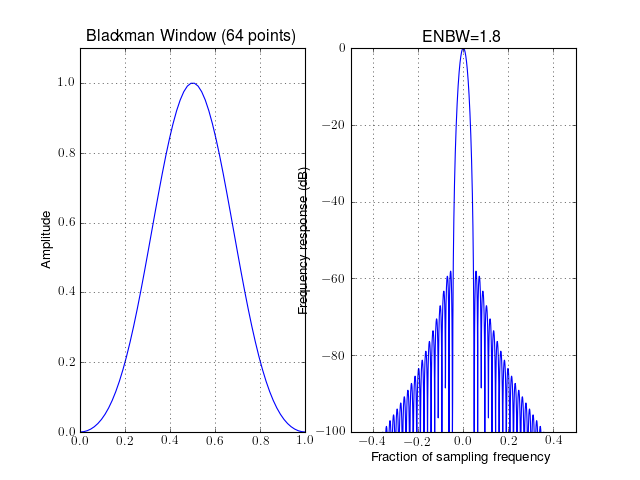 Although Numpy implements a blackman window for , this implementation is valid for any . returns a minimum, 4-term Blackman-Harris window. The window is minimum in the sense that its maximum sidelobes are minimized. 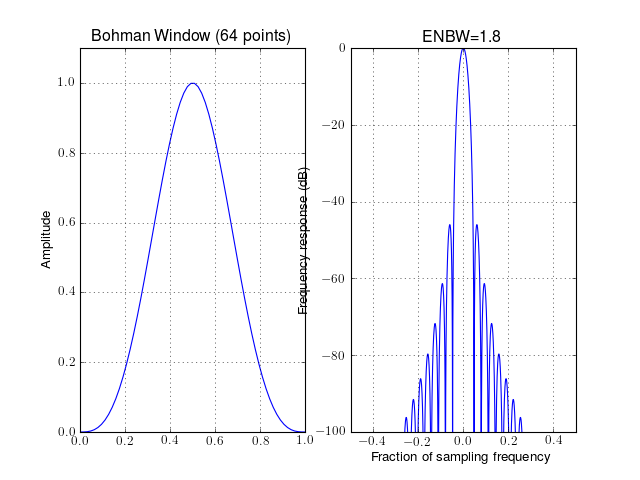 The coefficients for this window differ from the Blackman-Harris window coefficients and produce slightly lower sidelobes. where x is a length N vector of linearly spaced values between -1 and 1. 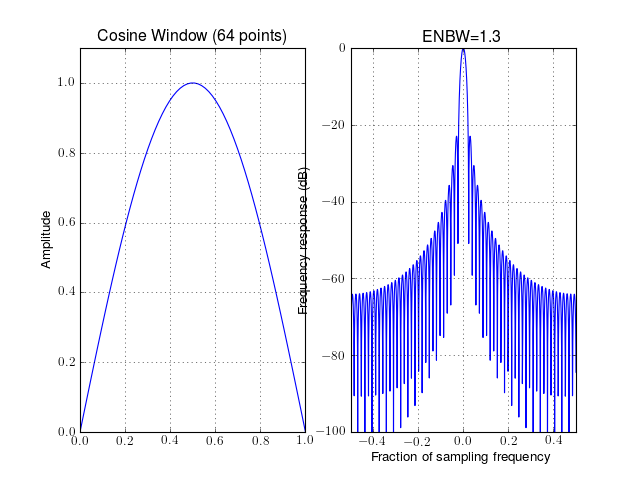 Cosine tapering window also known as sine window. Returns symmetric or periodic flat top window. mode – way the data are normalised. If mode is symmetric, then divide n by N-1. 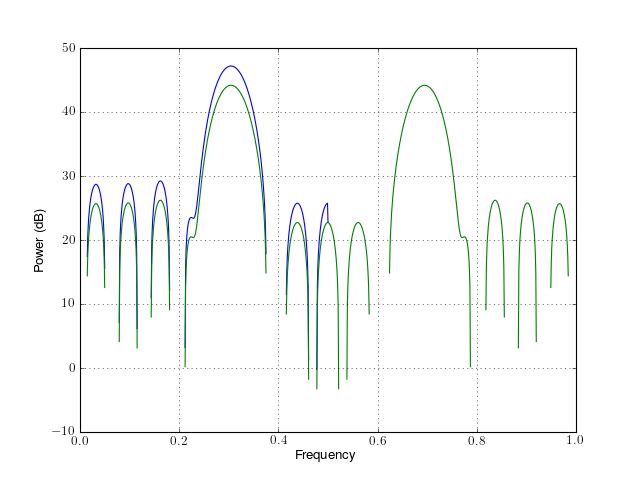 IF mode is periodic, divide by N, to be consistent with octave code. 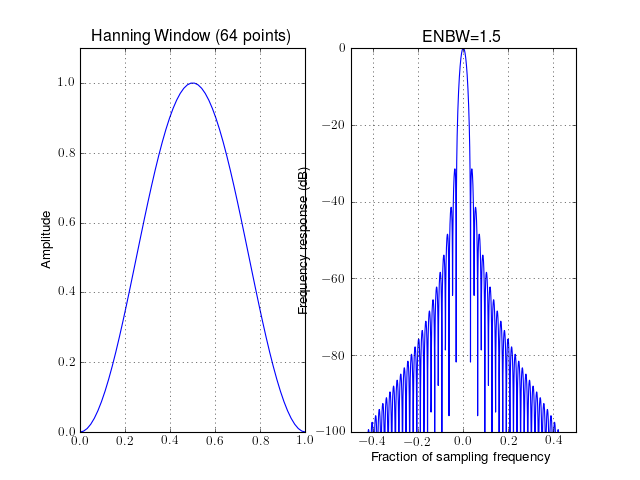 The Hanning window is also known as the Cosine Bell. 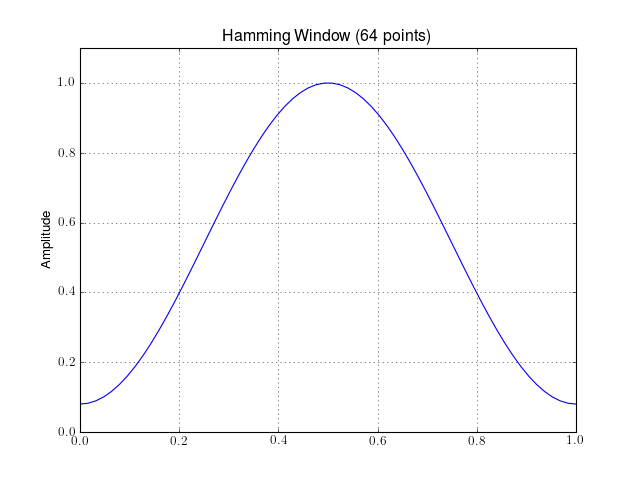 Usually, it is called Hann window, to avoid confusion with the Hamming window. 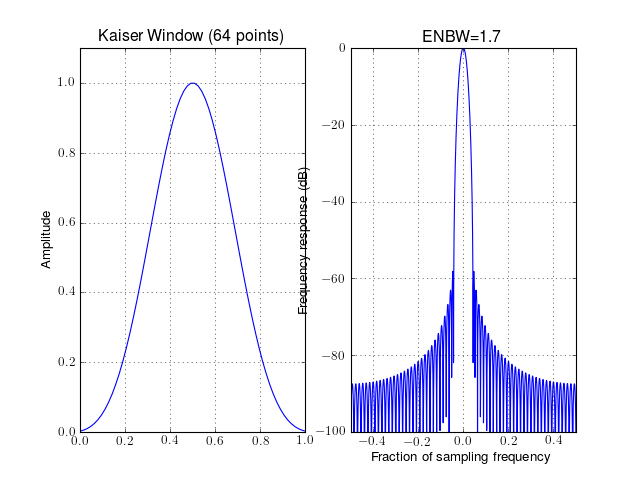 To obtain a Kaiser window that designs an FIR filter with sidelobe attenuation of dB, use the following where . 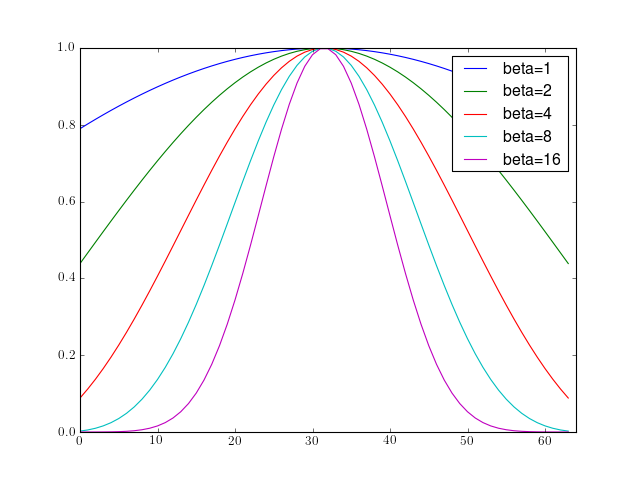 is the zeroth order Modified Bessel function of the first kind. is a real number that determines the shape of the window. It determines the trade-off between main-lobe width and side lobe level. the length of the sequence is N=M+1. Lanczos window also known as sinc window. 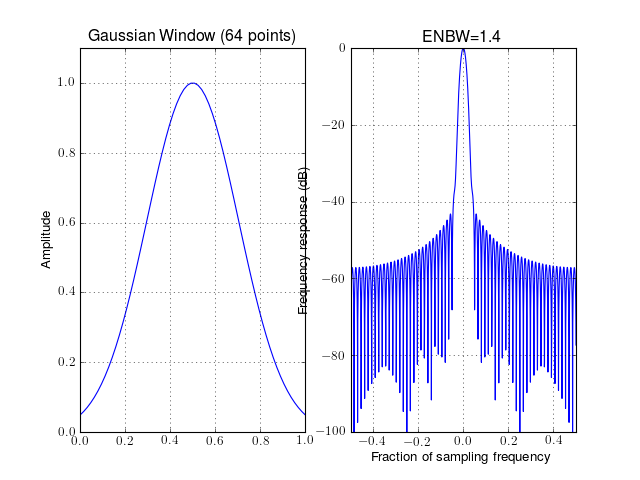 Parzen windows are piecewise cubic approximations of Gaussian windows. 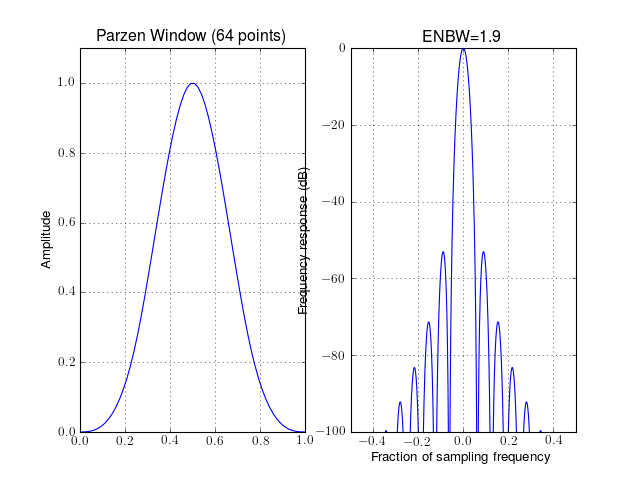 Parzen window sidelobes fall off as . This window is constructed as the product of the Hanning and Poisson windows. 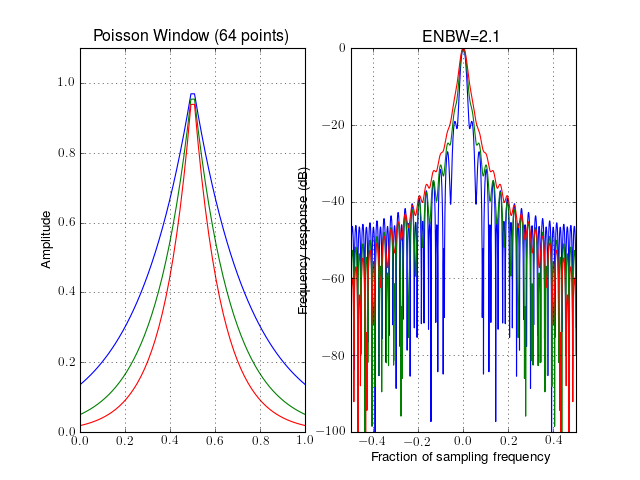 The parameter alpha is the Poisson parameter. r – defines the ratio between the constant section and the cosine section. It has to be between 0 and 1. 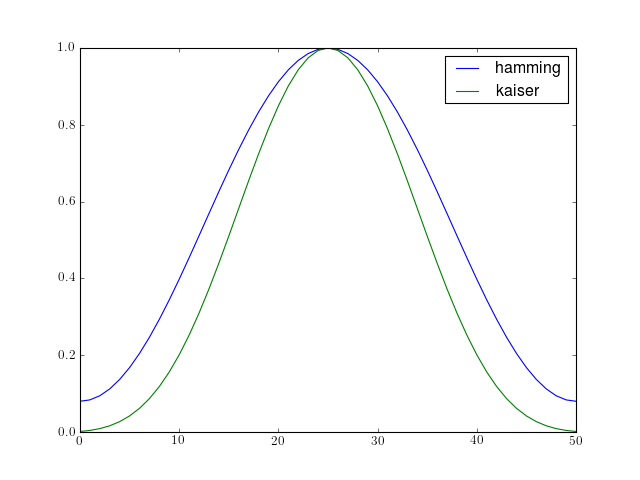 The function returns a Hanning window for r=0 and a full box for r=1 . 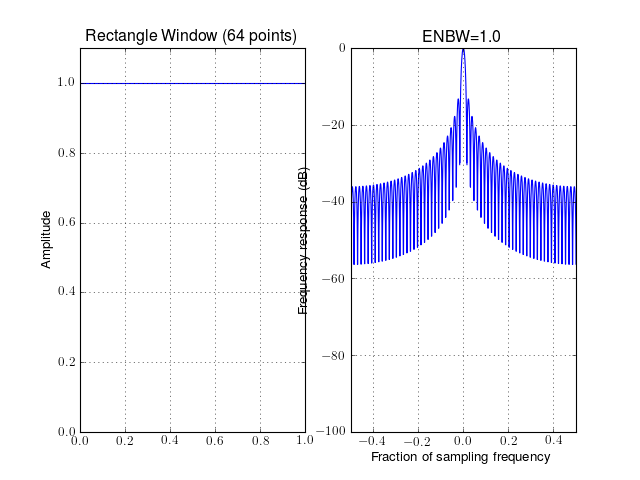 This function plot the window shape and its equivalent in the Fourier domain.